The inter-denominational and inter-religious conflicts in the Middle East which we are currently witnessing are based on objective factors. This lesson was already understood by U.S. President Woodrow Wilson in 1920 when he proposed slicing up the Ottoman Empire in accordance with the real religious-ethnic segmentation of the local population. 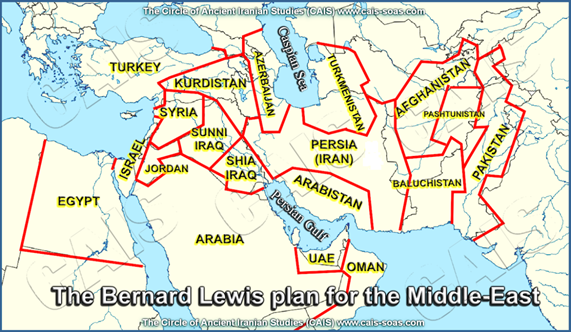 Seventy years later the same suggestion was made by Bernard Lewis, and Colonel Ralph Peters of the U.S. Army General Staff, each of them in his own time. Having consideration for the successful example of the peace agreement between Turkey and Greek that has proven itself over the last 100 years, it may be assumed with a high degree of probability that had the proposals of President Wilson been adopted in his time it would have been possible to prevent most of the current blood disputes. The proposed law to allow force-feeding of hunger-striking prisoners was recently approved by the Knesset. Discussion of the topic led to public debate for and against the proposed law. The purpose of this paper is to present the topic in an organized fashion, to analyze the dilemmas it raises, and to present a considered opinion about the proposed law. The issue of force-feeding hunger strikers is not a new one and represents an area of public disagreement in Israel and abroad. Until this new law, Israel’s legal position towards the issue was laid out in the law detailing the rights of the ill, a law which set conditions and standards for providing care to a person against his will. In his new study, Yaakov Faitelson uncovers demographic trends among the various populations in the State of Israel, and their influence on the educational system. The study shows that the rate of growth of the wider Jewish population is considerably higher than the Central Bureau of Statistics’ forecast, while the various minority populations grew in line with the lower end of CBS’s forecast range. These trends significantly influence the nature of Israel’s educational system. According to the study’s conclusions, the data indicates continuous rapid growth in the Jewish first grade student body in the coming years, the stability or slight decrease in first grade students in Arab education, and a decrease in the percentage of Ultra-Orthodox students out of all Jewish students.